Ajj naiyo sawna song is sung by Sophie and Manj Musik. 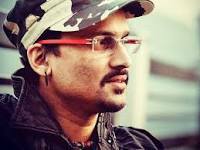 This song is penned by Manj Musik, Mr Richi and composed by Manj Musik. It is produced by Aura Creative. This song was released on 07 Feb 2019.